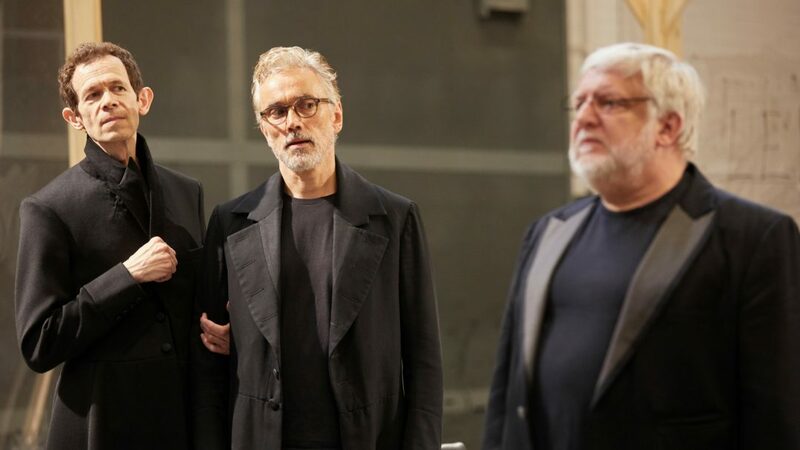 Park Avenue Armory, in collaboration with the National Theatre and Neal Street Productions, will present the North American premiere of The Lehman Trilogy, by Stefano Massini, adapted by Ben Power, directed by Sam Mendes at the Wade Thompson Dill Hall, Park Avenue Armory, following a sold-out run at the National Theatre from 22 March – 20 April 2019. Adam Godley, Ben Miles, and Simon Russell Beale will reprise their critically-acclaimed roles. Told in three parts in a single evening, the production will unfold in the soaring 55,000-square-foot Wade Thompson Drill Hall. The Lehman Trilogy weaves through nearly two centuries of Lehman lineage, following the brothers Henry, Emanuel, and Mayer Lehman from their 1844 arrival in New York City to the 2008 collapse of the financial firm bearing their name. Adam Godley, Ben Miles, and Simon Russell Beale play the Lehman brothers, and a cast of characters including their sons and grandsons. As the inaugural production of the 2019 season, The Lehman Trilogy builds on the Armory’s history of presenting bold and engaging theatre productions that explore the unexpected possibilities of the cross-genre cultural institution. The world premiere of Stefano Massini’s The Lehman Trilogy opened at the Piccolo Teatro in Milan in 2015. It turned out to be Artistic Director Luca Ronconi’s final production before his death. A long-time admirer of Ronconi’s, Sam Mendes was inspired to begin planning an English adaptation for Neal Street Productions. Ben Power, Deputy Artistic Director for the National Theatre, was commissioned to create a new version of this epic play, using a literal English translation by Mirella Cheeseman.